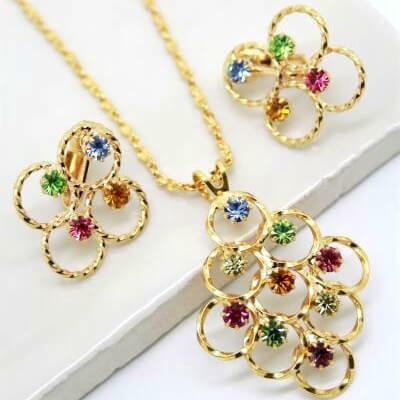 Description: This beautiful vintage jewellery set of matching earrings and pendant necklace feature sparkly pastel rhinestones in shades of blue, orange, pink, green, yellow and purple – Claw set into a loops style gold plated setting. Earrings measure: 2.4cm at tallest point. Pendant measures: 4cm at longest point. 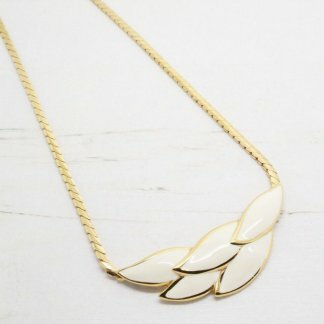 Chain measures: 22cm drop – total length 44cm. 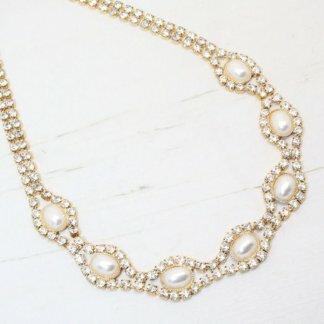 The necklace and earring set is in wonderful condition, showing slight to no wear. It appears unworn and ‘new’. It has clearly been looked after well. 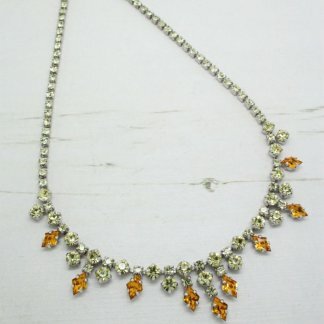 The necklace is complete with a secure clasp and earrings have comfy secure ear clips. A stunning set for adding sparkle to any outfit. Could also be used as colourful unique bridal jewellery. Note: The rhinestones appear more pastel tone then photo shows.